The season is well and truly upon us, and Bonfire night is just around the corner, and whether you'll be celebrating this weekend, on the 5th or the following weekend (as there seems to be lots of different bonfires on lots of different nights - ooh how many could we go to...) it's the perfect excuse to get creative in the kitchen with your favourite Bonfire night recipes. 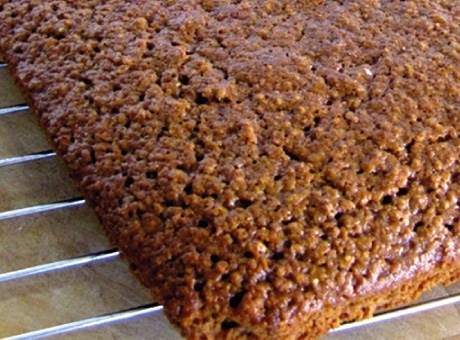 Here's one of my all time favourite recipes, its a Black Treacle Parkin recipe make with oats, and is probably classed as 'Lancastrian parkin', it's from one of my mums circa. 1970's school cookery books (thanks for the recipe mum), and it's what my mum makes every November. Prepare a 25cm/10 inch cake tin (this needs to be oiled and fully lined with greaseproof paper). Sift the flour and spices into a large bowl. Stir in the oatmeal (or porridge oats) and the bicarbonate of soda. In a saucepan over a low heat, melt together the treacle, butter, milk and sugar. Stir occasionally until the butter and treacle are melted, and the sugar dissolved. Immediately pour the warm, dark mixture into the dry ingredients and beat thoroughly. Pour into your prepared tin, spreading mixture to fill tin evenly. Bake in the oven for 45 minutes, or until firm. Leave to cool in tin, then cut into squares. N.B.You’ll need good willpower with parkin. It’s essential that you allow it to rest and don’t eat it straightaway. A week is about the length of time recommended to let it mature into proper sticky heaven. Line a 15cm tin with baking parchment. Put the sugar, syrup, butter and water into a large heavy-based pan and set over a medium heat. Stir until the sugar has dissolved then turn up the heat and bring to the boil. Cook, without stirring, until the mixture reaches 138°C/280°F then remove the pan from the heat. Taking care, add the vinegar and bicarbonate of soda to the pan – the mixture will bubble up and rise. Using a sharp knife, score into squares. When completely set, break along the scored lines and store in an airtight tin. N.B. 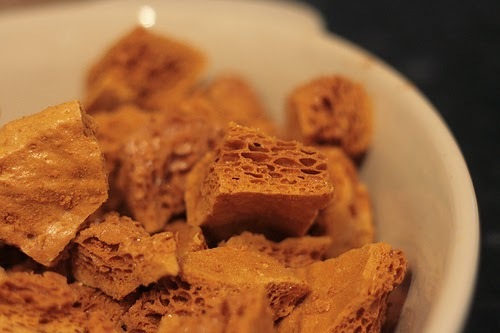 If you don't have a confectionery or sugar thermometer, you can test the mixture by dropping a small amount into cold water; if it is ready, it will become a hard toffee ball. No Bonfire night would be complete without Bonfire Toffee! 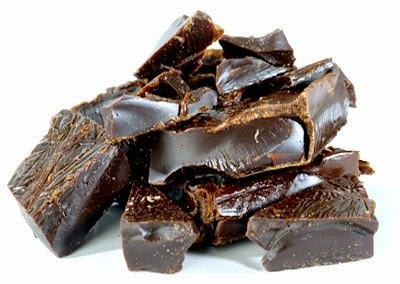 This jaw-breaking treacle toffee dates back hundreds of years and is really easy to make, but must be approached with caution; as the toffee gets very, very hot as it is boiled. Line a 15 x 20cm/6 x 8in baking tray with non-stick baking parchment. Measure all the ingredients into a deep, heavy-based saucepan. Place over a medium heat and stir occasionally until the butter is melted and the sugar has dissolved. When the mixture is smooth and well-combined, increase the heat and bring the mixture to a fast boil. When the mixture reaches 140C/285F, pour carefully into the lined tray. If you want even pieces, wait until the toffee is cool enough to handle, but elastic enough so that a finger pressed in the top leaves a slight indent (about 15-20 minutes depending on the room temperature). Partially cut the toffee into even pieces with an oiled knife. When it has cooled completely, break along these lines. Alternatively let the toffee cool completely, then break into shards with a toffee hammer or rolling pin. Store in an airtight container, with individual layers of toffee separated by baking parchment. N.B. If left exposed to humidity, the toffee will soften and stick together. Are You Baking Your Own Christmas Cake This Year?